Mahabharata is one of the two major Indian epics, the other being Ramayana. 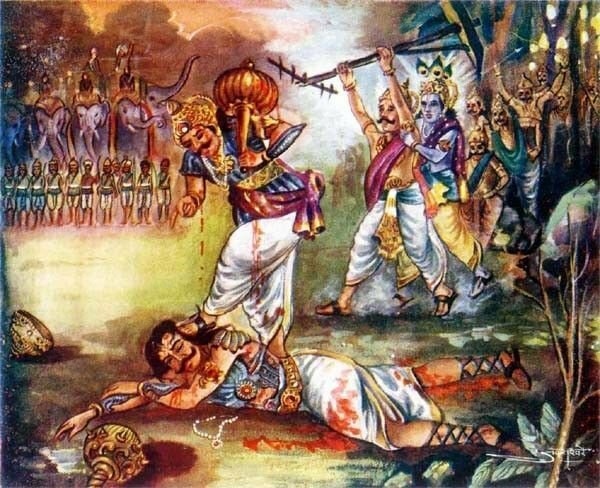 It depicts the extreme bloodshed taken place at the Kurukshetra war between the Kauravas and Pandavas. Only 12 people survived the most significant battles of all the times. Yuyutsu was one of them. He was the only Kaurava who fought for Pandavas and survived the war. Let’s explore more about the untold story of the unknown son. 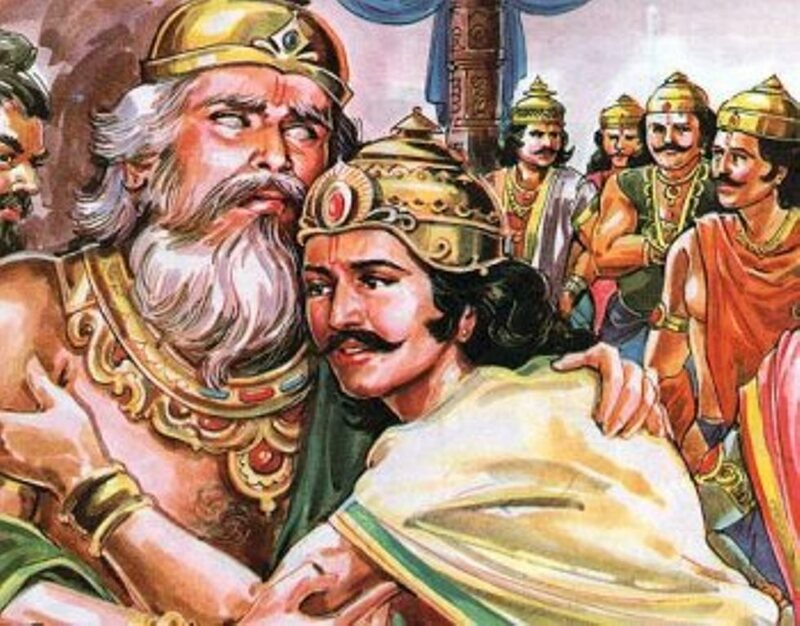 Dhritarashtra’s 100 sons – A Myth! You will be surprised to know that the fact of “100 sons of Dhritarashtra” is a myth. Yes contrary to your belief, he had 101 sons and 102 children in all including 100 Kauravas sons and one daughter, Duhsala from Gandhari, his wedded wife and a son named “Yuyutsu’ from a maid. Yuyutsu is derived from two Sanskrit words “Yudh” and “Utsukt”. The word means, “The one who is curious to fight”. Precisely mentioned in the Adi Parva section of Mahabharata, Yuyutsu was as old as Duryodhana and his other brothers. Facing problems with Gandhari’s pregnancy for two years even after the Sage Vyasa’s boon, Dhritrashtra lost his hopes that Gandhari can give him his worthy heir. Meanwhile, Kunti was blessed with Yudhishthir which made Dhritrashtra impatient. Hence, to overcome his fear he bore a son to one of his Dasis. Sugadha was a maid who used to attend Dhritarashtra and take care of other household things. She was not a Kshatriya instead belonged to Vaishya Class. Dhritarashtra was mesmerized by her pleasant beauty. He used her for fulfilling his sexual needs and also for his desire to get a son before his brother Pandu and so he made Sauvali pregnant with a son. Yuyutsu was the son of Dhritarashtra and Sugadha also known as Sauvali. He was a half Kuru and a Dasiputra. Yuyutsu was born after Yudhishthir and on the same day as Dhuryodhan. Thus, he was younger to Yudhishthir and of same age as Duryodhan but elder to all his other 99 brothers and one sister. Being a Dasi-Putra, he was never accepted by his brothers. He was treated rudely, and all of them used to taunt him for no mistake of his. He was one among the two Kauravas and the only people to take stand for Draupadi during the cheerharan episode. 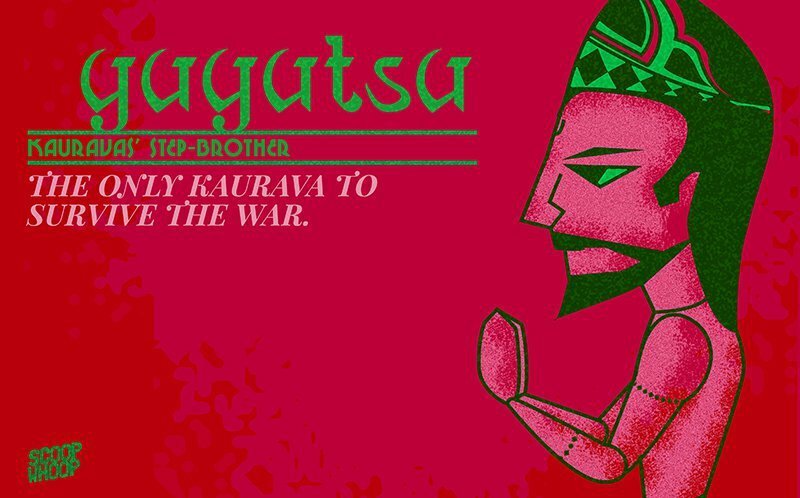 Yuyutsu was aware of the evil plotting of the Kauravas. He used to provide the substantial information of them to the Pandavas and thus became their informant. The righteousness of Yuyustsu also saved Bhima’s life once. This happened when Duryodhan decided to poison Bhima’s water, but their plan failed as Pandavas were alarmed. Thanks to Yuyutsu! Many of Duryodhana’s brothers were aware of his wrongdoings. But all of them stayed loyal to him during the war except the only Kaurava who didn’t fight for them and decided to be on the other side was Yuyutsu. He was one of the warriors who were capable of fighting 70,000 soldiers simultaneously and also one of them who survived the epic war of the history that continued for 18 days. It was his wise decision to stand beside what was right. Yudhishtir was ruling the kingdom peacefully. Twist came when Krishna took a departure from the world, and Kali Yuga was about to begin. Pandavas decided to go to the Himalayas. Yuyutsu was appointed as the supervisor of the Kingdom, Hastinapur while Parikshit took the throne. Yuyutsu’s death is not definite. Mahabharatha does not share the incident of his death. But little stories say that Gandhari was the reason of Yuyutsu’s death. She decided to open her eyes and burn the Pandavas to ashes with her fierce, fiery eyes. Instead, she killed her only living son or half-son, you may say, but the only Kaurava alive. Yuyutsu’s death is ambiguous and debatable. The character of Yuyutsu is a perfect example of a virtuous man. He gives the lesson of making a wise choice. It’s upon us who do we choose, the good or the evil. Our choice decides whether our future blossoms with fruits or pierces with thorns.